Dental implants in St. Louis are an investment in your oral health and your quality of life when used to replace your missing teeth. 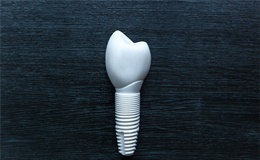 They closely look and function naturally because they are the only dental prosthetic to treat both the root and crown. You can enjoy a treatment with over a 95% success rate to complete your smile for several decades. Although you know they are an excellent choice, you are concerned about their cost. While they are more expensive upfront than traditional options, they are more affordable long-term. Dr. Stewart E. Moreland provides the solutions you need to keep your new smile within your budget. Consultation & Imaging: You need a consultation with your dentist to ensure you are a candidate for dental implants in Town and Country. Besides their office fees, you also need to pay for digital x-rays and CT scans to assess your oral health. Additional Procedures: It is common to need additional procedures before placing your implant posts, like tooth extractions, a sinus lift, or bone grafting. Sedation or Anesthesia: Inserting your implant posts requires oral surgery, so you will need sedation or anesthesia. Placement Procedure: An oral surgeon surgically places implant posts into your jawbone. The number and type of posts needed influence the cost. Abutments: Each post needs an abutment to connect your restorations. Restorations: The restorations are often the most expensive aspect of the treatment. The cost increases depending on how many teeth you are replacing. Dr. Moreland provides you with a custom estimate and discusses the cost of each phase of your treatment during your initial consultation. 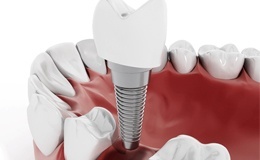 Do not let the cost of dental implants deter you from choosing them. There are several ways to keep your new smile affordable. Often, you can use your dental insurance to lower the amount you need to pay. Although it will not cover the entire treatment, your specific policy may pay for certain aspects, such as the CT scan, anesthesia, or restorations. We help you maximize the value of your insurance benefits until you reach your annual limit. If there is a remaining balance, we accept a variety of payment options, including CareCredit. We will help you find the solutions you need to keep dental implants within your budget. Dental implants are an excellent investment because you only need to pay for them once. Unlike other tooth replacement options, dental implants can last for several decades, so you never need to worry about having them replaced. They are the cost-effective, long-term solution you need for a healthy, functional smile. If you are ready to complete your smile, contact our office today to schedule your consultation for dental implants.